College Funding Service Center is a consulting firm that helps high school students and their parents choose the right college, considering fit and funding. 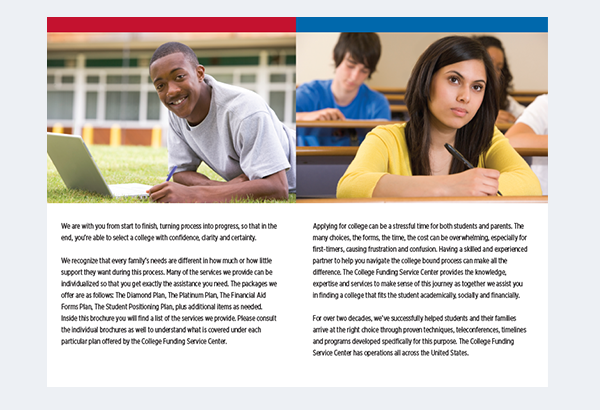 The brochure covers the many services they offer from filling out FAFSA forms to making lists of colleges and how to evaluate them. The photos are a very integral part of the brochure. 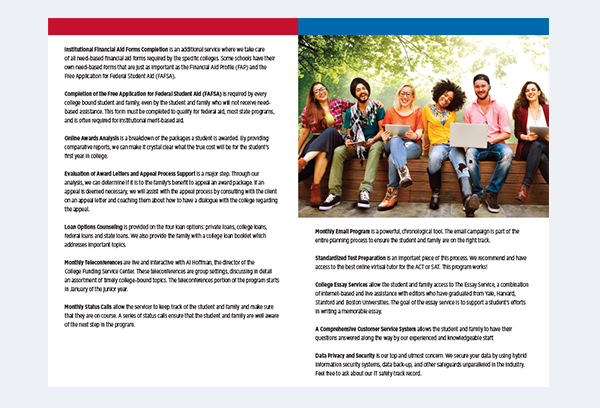 The client wanted to portray the diversity of their clients throughout the brochure, reflecting the changing demographic on many college campuses.